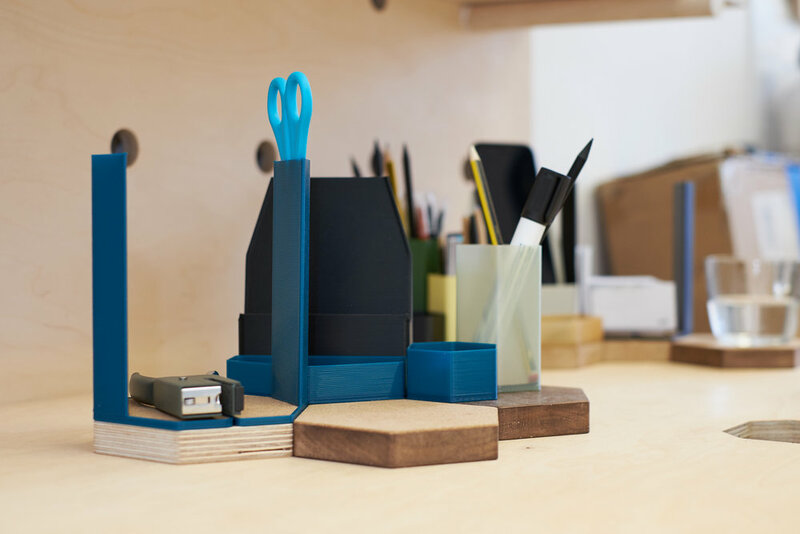 Batch.Works produces everyday products, including pens, desk tidies and lamps, in a matter of minutes using 3D printers. The idea is to offer locally sourced versions of products that are usually manufactured thousands of miles away, while still being affordable as well as easily customisable. The rule is simple: they don’t hold stock and always manufacture products to order. In 2016, the company - run and set up by Julien Vaissieres - was awarded the Retail Star award by global e-commerce store Etsy. 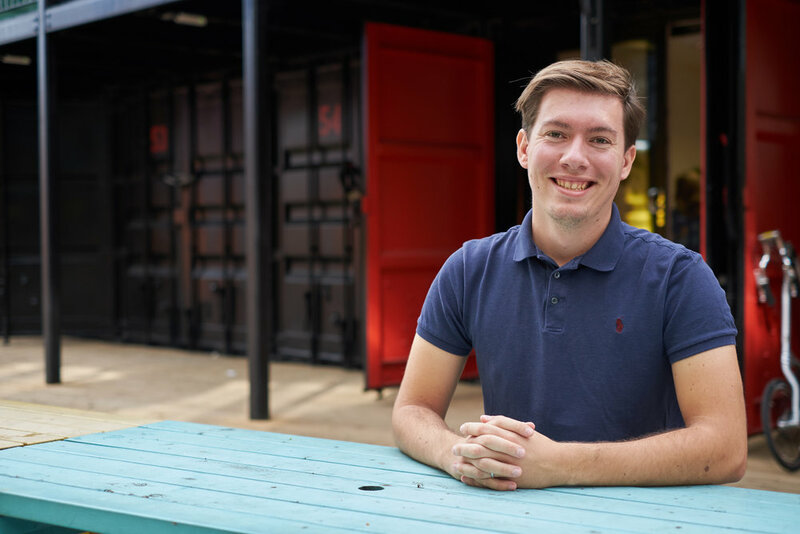 Julien decided to establish the studio at Containerville two years after launching the business from a tiny workshop at the back of his house. Walking into the ground-floor container, you can hear the gentle hum of the 3D printers at work, and an assortment of brightly coloured pens and hexagonal lamps line the shelves. “I trained as an architect and spent years sitting behind an office desk, but I just wanted to make stuff,” explains Julien. 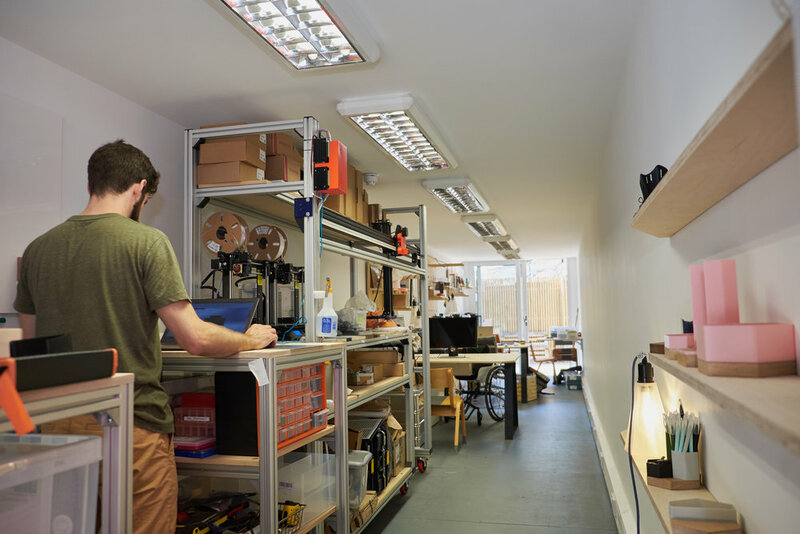 The fledgling business soon outgrew his home workshop, so he decided to move the 3D printer to Machines Room, a community of east London designers and artists based in a warehouse on Vyner Street. However, after the rent doubled, Machines Room moved across the road to Containerville - and Julien followed suit. “We moved within three weeks and luckily it was very simple, with all amenities already in place at Containerville,” Julien says. Once Julien had relocated, he launched Batch.Works as a company and began working there full-time, dropping his role as a part-time architect. He says the unit is a “perfect match” for the 3D printing business. “We are a micro-factory and we believe in distributed manufacturing so shipping containers are the dream space for us. Eventually, we hope to replicate the container in other cities, so we can manufacture our products locally in other places too. And if we wanted to expand the site here, we could always get a second container. It’s very scaleable - you don’t have to suddenly go from 26 square metres to 100. Julien also highlights the community spirit at the site - interacting with other creative businesses. The canal-side location is another highlight. Julien enjoys cycling to work each morning by the canal through Victoria Park.